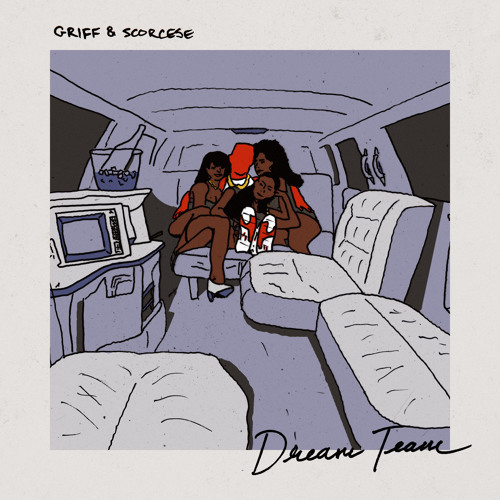 Home / Dream Team: A Stokely Hathaway Joint / hip-hop / hip-hop music / Jason Griff / JihaD Scorcese / New SOTBMusic / NXT / SOTBMusic / Stokely Hathaway / wrestlerap / wrestling rap / wwe / New SOTBMusic: JihaD Scorcese and Jason Griff Present "Stokely's Theme"
New SOTBMusic: JihaD Scorcese and Jason Griff Present "Stokely's Theme"
With WrestleMania behind us, it's a great time to get into some wrestling rap. True God's gearing up for Eyes on the Ring 2 (with some beats from you-know-who, shameless plug) and fellow wrestling fan-slash-rapper JihaD Scorcese dropped his Dream Team: A Stokely Hathaway Joint project with producer Jason Griff and WWE NXT wrestler Stokely Hathaway (who you may be familiar with from the indies). Today's drop, "Stokely's Theme" mixes new era rap sensibilities with gritty lyricism that's reminiscent of old school hip-hop. That said, you know I'm a fan. Plus, the wordplay is pretty cool as well as the fact that this fits well for Stokely's persona in wrestling. Check out the track below, support indie rap (and indie wrestling, considering some of your favorites have ran through the indie circuit), and remember to support dope music in all its forms. New SOTBMusic: @AlanZMusic - "Distance"